Following news the New England Patriots made a trade with the Cleveland Browns for cornerback Jason McCourty, the McCourty twins celebrated over social media becoming teammates for the first time since their college days at Rutgers University. The trade for Jason marks the second pair of twins currently on the Patriots roster, the Hollister twins, tight end Jacob and wide receiver Cody, are the others. 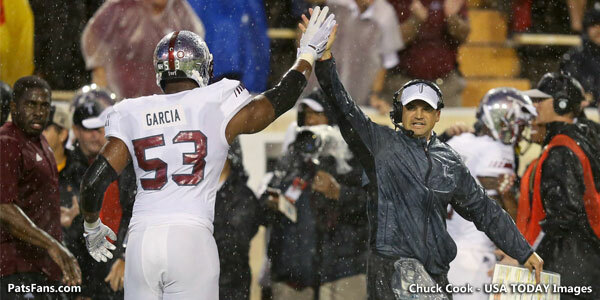 Their Rutgers teammates also chimed in by poking fun at the two joining up on the Patriots. baldies gonna be clean out there!!!! 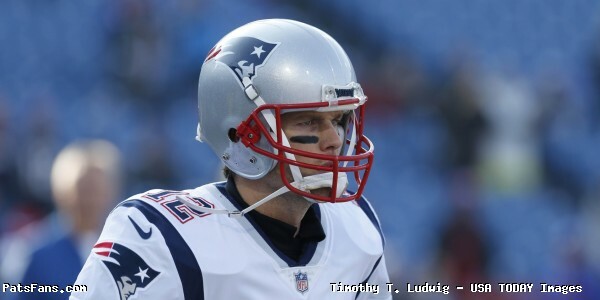 This entry was posted in 2018 Patriots Offseason, Patriots Photos, Patriots Twitter and tagged Cody Hollister, Devin McCourty, Duron Harmon, Jacob Hollister, Jason McCourty, Logan Ryan on March 17, 2018 by Robert Alvarez. The Patriots head into training camp in just a few weeks and there should no shortage of competition at several spots, especially at the back end of the roster. As a lead-in to the beginning of camp, we’ll break down the positions and give our take on who is a lock, a near lock for the 53-man roster and who is on the bubble. Next up are the wide receivers. Bill Belichick likes to say that the spring’s OTAs and Minicamp is a learning exercise and that the real competition begins in training camp. 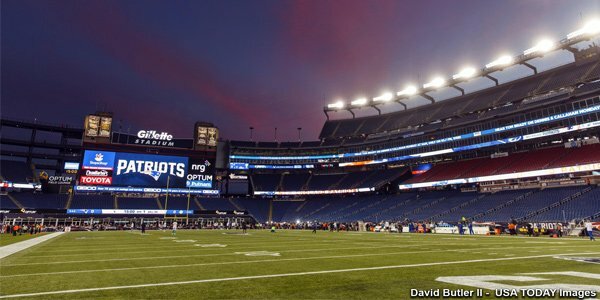 With the new rules in play, the Patriots will start camp with 90 players and don’t have to cut down until the final 53. The Patriots were stocked pretty well at wide receiver in 2016 and were very productive. The good news was they lost only Michael Floyd who played just a bit down the stretch. The better news was that the team only got Danny Amendola to agree to another pay cut, but they locked Julian Edelman on an affordable, team-friendly deal that keeps him around for the next few years. And yeah, the team brought in speedster Brandin Cooks who has been very productive with Drew Brees and the Saints. What’s not to like about this position? Not very much. On paper, this unit looks as deep, talented and versatile as any group we’ve seen. But we digress, let’s look at the entire unit. The Patriots traded their first-round draft pick to New Orleans for Brandin Cooks, the #32 pick in the draft for a guy who is just 23-years old and in the past two seasons has caught 162 passes for 2311 yards and 17 touchdowns. Cooks has that take your breath away speed in the open field and is versatile, he can play inside, outside or in the slot. Look for the Patriots to move him around and put him in motion to get a free release and get set to watch some fireworks this season. 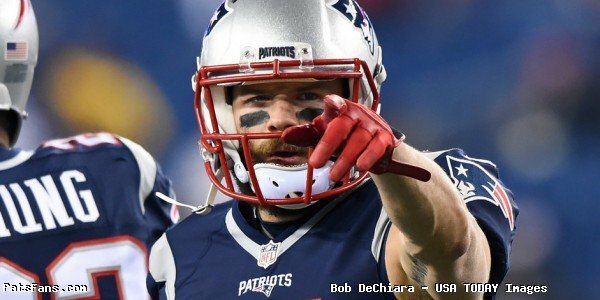 Edelman is Brady’s best friend off the field and his favorite target on it. The self-made wide receiver has turned himself into a fantastic professional. Facing questions in 2016 about his foot after multiple surgeries on it in 2015, Edelman played all 16 games, caught 98 passes for 1106 yards and was always counted on to make the clutch catch at crunch time. 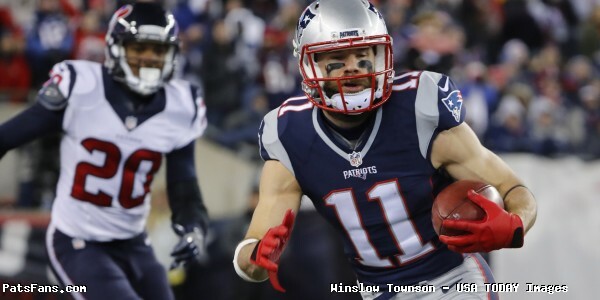 In the playoffs, Edelman caught 21 passes for 342 yards and a touchdown. His catch in the Super Bowl late in the 4th quarter with the Patriots behind was one of the great plays of the entire season and helped the Patriots win the game in overtime. Mitchell was having a very good training camp and then hurt his arm in the preseason. That slowed his progress but in the second half of the season, the lights came on for him and he was solid down the stretch. Overall, he made 32 catches for 401 yards and four touchdowns as a rookie, including a two-touchdown game against Darrelle Revis, the first time Revis has allowed any WR to catch two TDs on him in a game. Mitchell also had a solid Super Bowl, catching six passes for 70 yards as Tom Brady showed amazing trust in his rookie wide receiver. Now with a full offseason under his belt and better familiarization in the system, Mitchell should be an even better player in 2017. With all of the options, his numbers may not reflect it, but we expect big things from him this season. Hogan came over from the Buffalo Bills last year and for the first time in his career, he didn’t enter training camp on the bubble with guys brought in to replace him. All he did was have a career year in 2016 with 38 catches for 680 yards, for an incredible 17.9 yards per catch with four touchdowns. In the playoffs, Hogan caught 17 passes for 332 yards and two more scores. 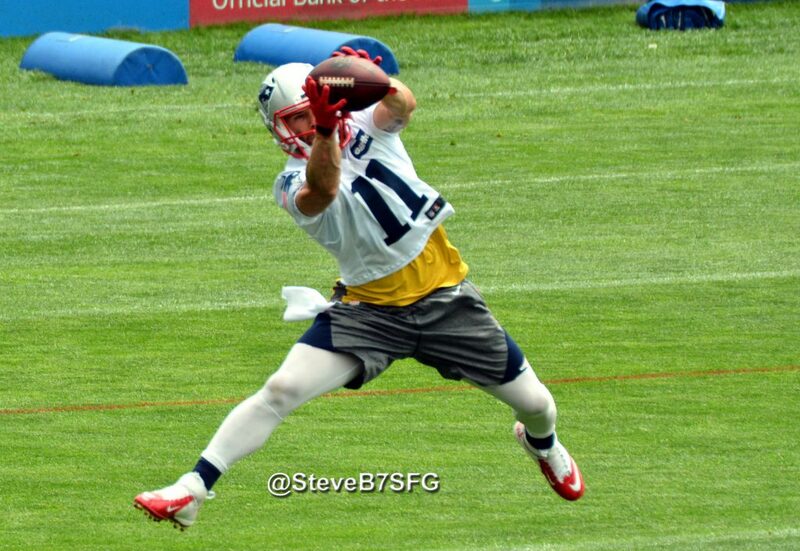 Like Cooks and Edelman, he has the versatility to move inside, outside or in the slot. 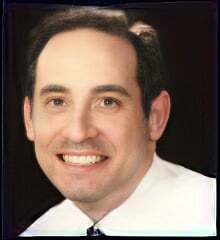 That means that Josh McDaniels can move those guys around and create favorable matchups. Amendola has found a home here in New England, and while he never became the replacement for Wes Welker that he was supposed to be when he signed, (that job has been more than ably filled by Edelman) he’s been remarkably clutch. He is arguably no more than the fourth option in the passing game, but when the chips are on the line, he has Brady’s absolute trust. 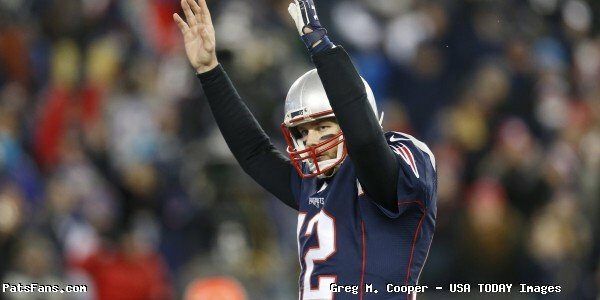 Trailing in the Super Bowl with less than a minute to go and needing a two-point conversion, Brady was going to him all along. And he delivered, as he’s done in many clutch situations. I don’t expect him to have eye-popping numbers in 2017, but we can expect a couple of highlight reel catches or touchdowns…possibly both. And then the team will re-do his deal again next spring. Hawkins signed with the Patriots after playing for the Browns the past three seasons. He also played three more with the Bengals. The diminutive 31-year old wide receiver has had a 50-catch season with Cincinnati and a 60-catch season with the Browns. In another year, I’d say his chances of sticking around are pretty good, but a look at the top five WRs on the roster and the question is, Who would he replace? Lucien has good size and is the second tallest WR on the roster at 6’2. He was drafted by the team in the 7th round in 2016 with their final pick and stuck around last year. But like with Hawkins, it will be very hard for the players to unseat any veterans ahead of them on the roster. The Patriots signed undrafted free agents Austin Carr and Cody Hollister this spring and both are intriguing. Carr is a 6’0, 201-pound wide receiver who caught 90 passes for 1247 yards and 12 touchdowns while operating out of the slot for Northwestern. He runs quick, precise routes and specializes at catching passes in traffic. He sounds exactly like a bigger version of Danny Amendola. Hollister is a long-shot to make the roster but has good size and very good special teams’ ability. During mini-camp, we saw Hollister displaying good chemistry with 3rd string QB Jacoby Brissett. That’s the kind of thing he’ll have to do this summer if he has any chance of sticking. I would put both Hollister and Carr in the realm of having a good shot at landing on the Practice Squad. 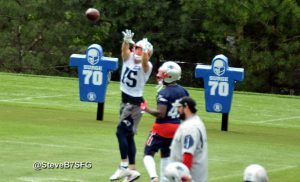 This entry was posted in Patriots Commentary, Patriots News and tagged 53 Man Roster Projection, Andrew Hawkins, Austin Carr, Bill Belichick, Brandin Cooks, Chris Hogan, Cody Hollister, Danny Amendola, Devin Lucien, Julian Edelman, Malcolm Mitchell, New England Patriots, Patriots wide receivers, Tom Brady on July 11, 2017 by Steve Balestrieri. The New England Patriots officially added another wide receiver to their already crowded depth chart on Wednesday by signing free agent Andrew Hawkins to a one-year contract. Hawkins professional football path began in the Canadian Football League from 2009-2012 where he won two Grey Cup Championships for the Montreal Alouettes after four collegiate seasons at the University of Toledo. 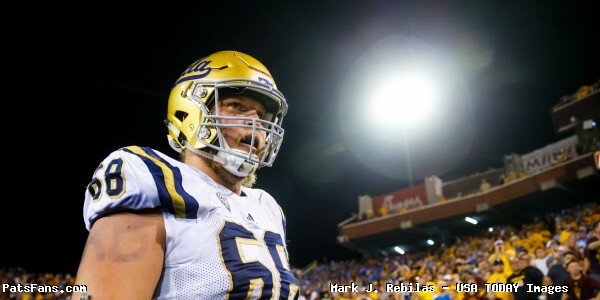 In January 2011 he signed his first NFL contract with the then St. Louis Rams but was waived in August of that year. The Cincinnati Bengals claimed Hawkins off waivers later that summer and he spent the next three seasons in Cincinnati before moving north to Cleveland from 2014-2016. The Browns released Hawkins on February 27th 2017. 2014 saw Hawkins have his most productive season as a professional, leading the Browns with 63 catches for 824 yards, but inconsistent quarterback play in Cleveland limited Hawkins to a combined 60 catches over the last two seasons. For his career, Hawkins has 209 receptions for 2,419 yards with five receiving touchdowns in six NFL seasons. Julian Edelman, Brandon Cooks, Danny Amendola, Chris Hogan, Malcolm Mitchell and Matthew Slater are already locked into spots on the active depth chart. Hawkins will likely be competing with undrafted free agents Austin Carr and Cody Hollister in training camp. Devin Lucien and DeAndrew White are also on the Patriots practice squad. To make room for Hawkins, the Patriots released wide receiver Devin Street and now have 12 wide receivers under contract. Hawkins then followed up his announcement by posting an edited video scene from the HBO series “Ballers” which featured wide receivers Julian Edelman and Danny Amendola but with Hawkins head put onto the main character Ricky Jerret, played by John David Washington. This entry was posted in 2017 Free Agency, Patriots News, Patriots Video and tagged Andrew Hawkins, Austin Carr, Chris Hogan, Cody Hollister, Danny Amendola, DeAndrew White, Devin Lucien, Devin Street, Julian Edelman, Malcolm Mitchell, Matthew Slater on May 24, 2017 by Robert Alvarez.